Posted on November 22, 2010 March 4, 2015 by Sarah R.
On Monday, November 8th, the Information in Society Speaker Series welcomed Dr. Eden Medina of Indiana University to campus. Medina’s talk, “The Slipperiness of Socio-Technical Engineering” focused on her work on Project Cybersyn, the 1970s-era cybernetics project envisioned to support and inform the economic agenda, and many nationalized industries, under the Chilean government of President Salvador Allende – a presidency abruptly ended by a bloody CIA-supported coup in 1973. Dr. Medina, whose own dissertation, published works and forthcoming book, Cybernetic Socialism, deal with the complexities and paradoxesof the Cybersyn project (known in Chile as “Synco”), gave an hour-long talk to the engaged audience of representatives from across the disciplines and from the community on the theoretical basis for cybernetics, its main proponents (e.g., Norbert Wiener), the background of those involved with Cybersyn, such as the English polemical iconoclast Stafford Beer who served as chief architect for the project, and the actual historical record of what the system achieved – and all that it did not. For her research, Medina traveled to Chile on multiple occasions to interview principles in the project, and also interviewed Beer before his death in 2002. Medina’s own background in engineering and computing also gave her technical insight into the system’s cybernetics underpinnings and technical parameters, and the ways in which it – and did not – ever work. 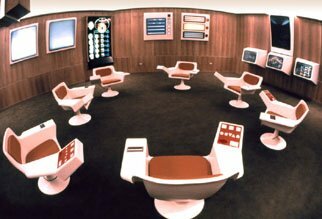 The system was a combination of four distinct components: the Telex network called “Cybernet,” the software suite known as “Cyberstride,” an economic simulator that could be used for projections and scenarios known as “Futuro” and, most famously the OpsRoom that took an interior design cue from the set of Kubrik’s “2001”. The project was viewed with suspicion from both the right and the left, with alternate claims of Soviet-style totalitarianism and dehumanization being levied at various times from the different sides. In the end, Cybersyn was a victim of a combination of technological barriers, a politically-motivated coordinated campaign of bad press from the right, and the problematic nature of Beer’s own efforts to publicize the project. After the talk, we opened up the floor to one of the richest and most fruitful discussions yet in our Info in Society series. 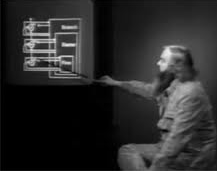 We had several provocative questions posed by audience members who included scholars of Chilean history, cybernetics and AI scholars, and even a man who had been a member of the original Cybersyn project in Chile, and had helped to wire the OpsRoom, among other things. 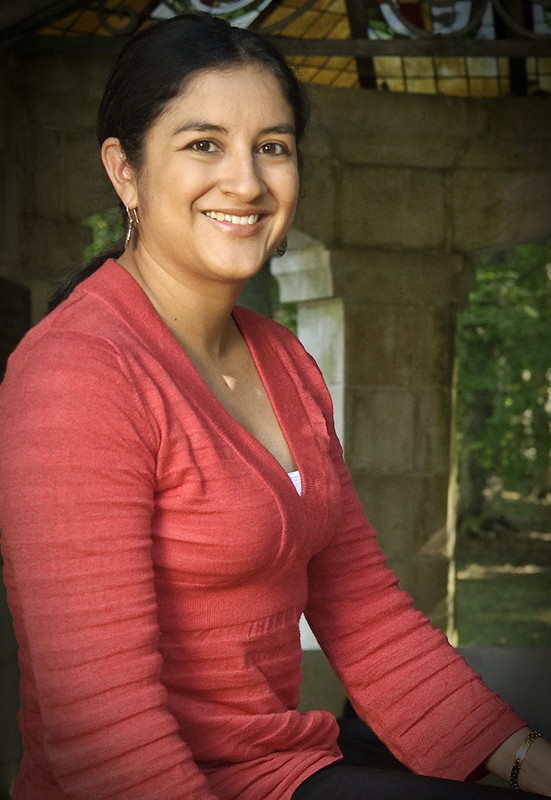 Eden Medina is assistant professor in the School of Informatics and Computing and adjunct assistant professor in the Department of History at Indiana University – Bloomington. Her research bridges the history of technology and the history of Latin America and asks how studies of technology can enrich our understanding of broader historical processes. She received her Ph.D. in the history and social study of science and technology from MIT in 2005 and completed an interdisciplinary dissertation on the history of Chilean computing and its relationship to state formation. She is the recipient of a 2007-2008 National Science Foundation Scholar’s Award and the 2007 Institute of Electrical and Electronics Engineers Life Member’s Prize for the best article of the year in electrical history. In 2005, she transformed her research into a multipart installation at the ZKM Center for Digital Art and Media as part of the “Making Things Public” exhibition curated by Bruno Latour and Peter Weibel. Dr. Medina is currently associate editor for the IEEE Annals of the History of Computing. It was our pleasure to host her at GSLIS as a part of our series. Medina, Eden. “Designing Freedom, Regulating a Nation: Socialist Cybernetics in Allende’s Chile.” Journal of Latin American Studies 38, no. 03 (2006): 571-606.